The Miss New Hampshire USA 2012 pageant was held on November 28, 2011. And the gorgeous Ryanna Harms from Rochester was crowned as the winner. 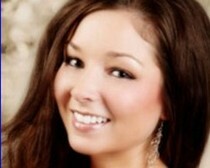 She will be the official entry of New Hampshire in Miss USA 2012 contest next year.